A singular memoir that tells the story of one unforgettable mother, her devoted daughter, and the life they lead in the Detroit numbers of the 1960s and 1970s. In 1958, the very same year that an unknown songwriter named Berry Gordy borrowed $800 to found Motown Records, a pretty young mother from Nashville, Tennessee borrowed $100 from her brother to run a Numbers racket out of her tattered apartment on Delaware Street, in one of Detroit's worst sections. That woman was Fannie Davis, Bridgett M. Davis' mother. Part bookie, part banker, mother, wife, granddaughter of slaves, Fannie became more than a numbers runner: she was a kind of Ulysses, guiding both her husbands, five children and a grandson through the decimation of a once-proud city using her wit, style, guts, and even gun. She ran her numbers business for 34 years, doing what it took to survive in a legitimate business that just happened to be illegal. She created a loving, joyful home, sent her children to the best schools, bought them the best clothes, mothered them to the highest standard, and when the tragedy of urban life struck, soldiered on with her stated belief: "Dying is easy. Living takes guts." A daughter's moving homage to an extraordinary parent, The World According to Fannie Davis is also the suspenseful, unforgettable story about the lengths to which a mother will go to "make a way out of no way" to provide a prosperous life for her family - and how those sacrifices resonate over time. This original, timely, and deeply relatable portrait of one American family is essential reading. Because of the many years that have passed, and the ephemeral nature of the Numbers themselves, the physical record that remains of my mother's business is scant. But my memory of her work is not; it is vivid. To edify and enhance my own memory, I've also relied on the recollections and knowledge of my mother's sister and brother, my nephew and cousins, and childhood friends. I've joined these interviews with extensive research, my own earlier writings and diary entries, as well as family documents and personal papers kept in my mother's brass trunk—to reconstruct the world of my childhood and young adulthood as the youngest daughter of my mother, Fannie Drumwright Davis Robinson, who ran Numbers in Detroit. This is her story. And mine. …They did not dream the American Dream, they willed it into being by a definition of their own choosing. The World According to Fannie Davis speaks to broader social struggles related to class, race, gender and migrancy. This memoir captivates, balancing between the relatability of inter-generational family relationships—the admiration, tension, struggle and loss within them—and the magnetism of lucrative, risky black-market business. (Reviewed by Jamie Chornoby). This charming tale of a strong and inspirational woman offers a tantalizing glimpse into the past, savoring the good without sugarcoating the bad. The Numbers' background is rarely explored, and works such as Don Liddick's The Mob's Daily Number lack the personal connection Davis so vividly exploits in this successful combination of family and sociological history. Starred Review. This outstanding book is a tribute to one woman but will surely speak to the experiences of many. This book brought tears to my eyes...Fannie Davis was always described as 'lucky.' That her talented youngest daughter Bridgett had the good sense to share her story with us all makes us lucky as well. A timely, intriguing and well-told story of what it means to come of age during a time when people found so many amazing ways to survive...at once amazingly specific and trail blazingly universal. I couldn't put this book down. The World According To Fannie Davis is a world of urban wit, grit and toughness. It is also a world of transformative magic- the magic of feminine strength and grace...as many people as possible should know about Fannie Davis. The payoffs here are many, including this daughter's loving take on that relentless class of African Americans who made prosperity imaginable for others no matter the odds. An altogether fresh take on the black experience, and a compelling piece of the American experience. An absorbing and delightful book. [A] rare book that successfully combines vivid family memoir with timely social history...I loved this book. A captivating, energetic memoir that entertains and enlightens as it reminds us of the unstoppable force - in life and on the page - of a mother determined to lift her family up. The World According to Fannie Davis is a compelling, unusual book. Bridgett Davis tells an insightful tale of how low-stakes gambling helped fuel-and fund-racial justice work in Detroit, while giving us an intimate, invaluable look at the complexities of class for African-Americans. Her story also makes a trenchant point: If a black family could achieve this much while locked out of decent mortgages and good jobs, imagine what they could have done if given the same opportunities as whites. A fascinating read. 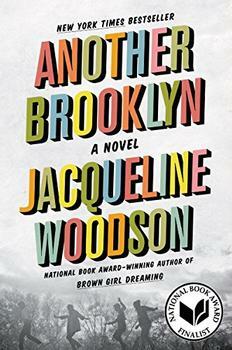 The acclaimed New York Times bestselling and National Book Awardwinning author of Brown Girl Dreaming delivers her first adult novel in twenty years.